Deputy head of the Iran-Russia Chamber of Commerce said Iran is on the verge of joining the Eurasian Customs Union (EACU). The Islamic Republic of Iran is seeking to join the Eurasian Customs Union following the returning US sanctions, Kaveh Zargaran told Tasnim news agency on August 4. 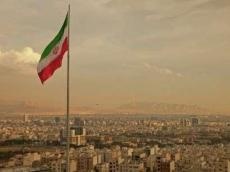 He added that preparatory talks to pave the way for Iran’s membership in the customs union have been held. Noting that Tehran plans to enhance its all-out ties with Moscow, the official said Iran’s membership in the EACU would increase the country’s exports to all the member states of the Eurasian Economic Union, Russia in particular. The customs union is a principal task of the Eurasian Economic Community, established in 2000, and now succeeded by the Eurasian Economic Union. No customs are levied on goods travelling within the customs union and - unlike a free trade area - members of the customs union impose a common external tariff on all goods entering the union. One of the consequences of the customs union is that the Eurasian Economic Union negotiates as a single entity in international trade deals, instead of individual member states negotiating for themselves.